To this day, I can't hear the word "phenomenon" without the doo doo doo dooo doo popping right into my brain. It's good to be a Muppet Baby. 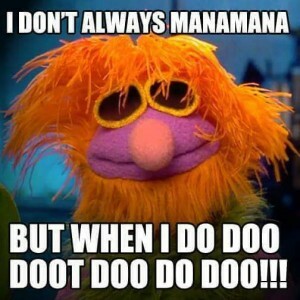 There's a Menomonie, Wisconsin, and I can never hear the name without adding "Doo doo doot do doo" after it. Ha ha!